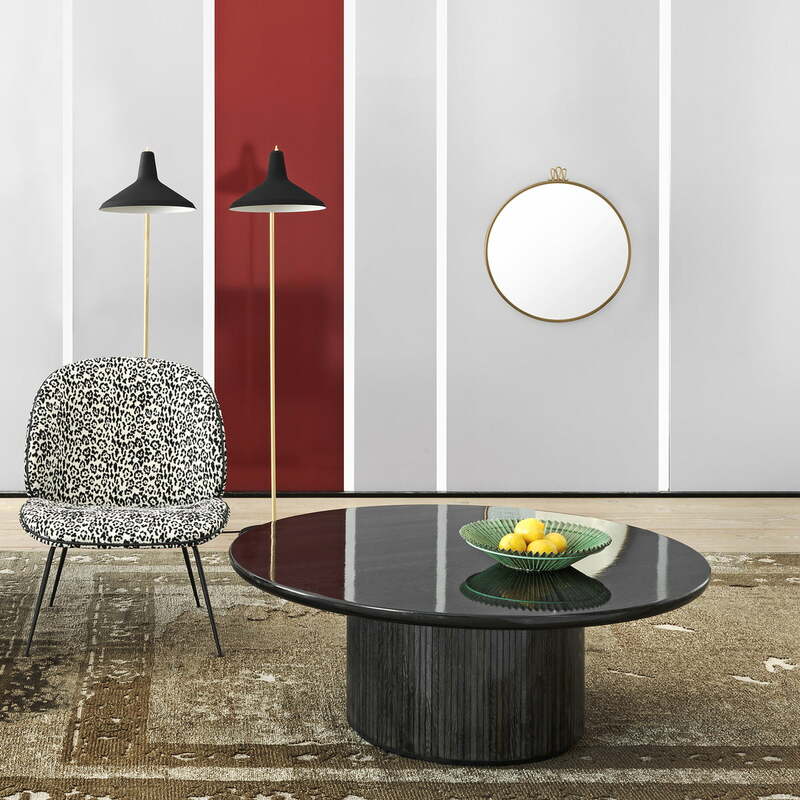 Space Copenhagen is responsible for the design of Gubi's classic Moon Table; a series of organic, rounded tables for private and public use with a half or full moon shaped base in oak and marble. Gubi's Moon series includes side tables and dining tables in various shapes that combine traditional Danish craftsmanship with modern forms. 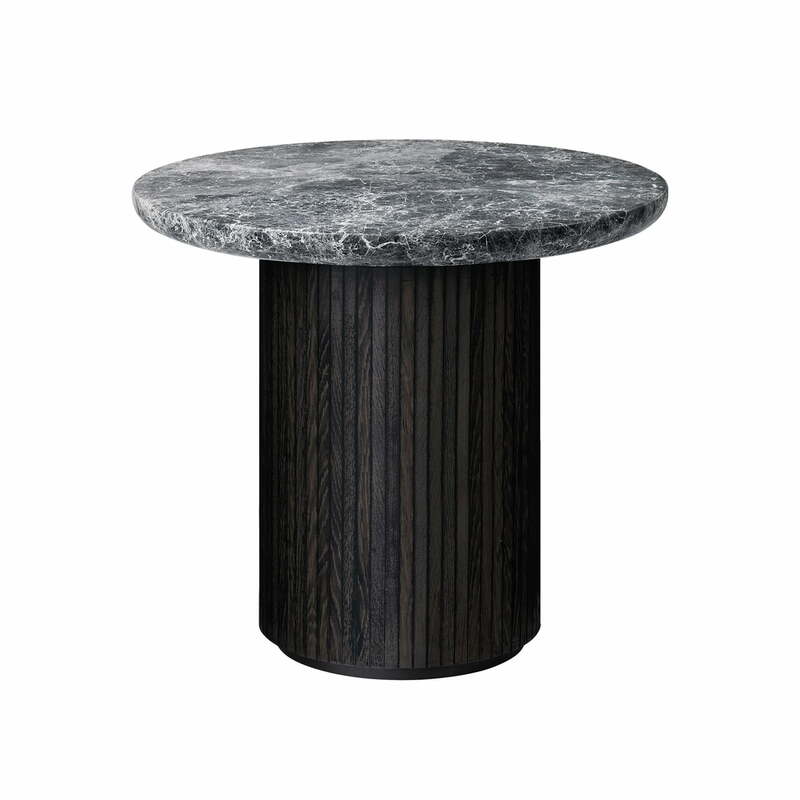 The tables have rounded tops in solid oak or marble. The half moon or full moon base with a bevelled surface, also made of oak wood, keeps the plate safe and stable and gives the table a strong, concise look. The material processing and the rounded shapes means that the table does not appear bulky despite its sturdy wooden legs. 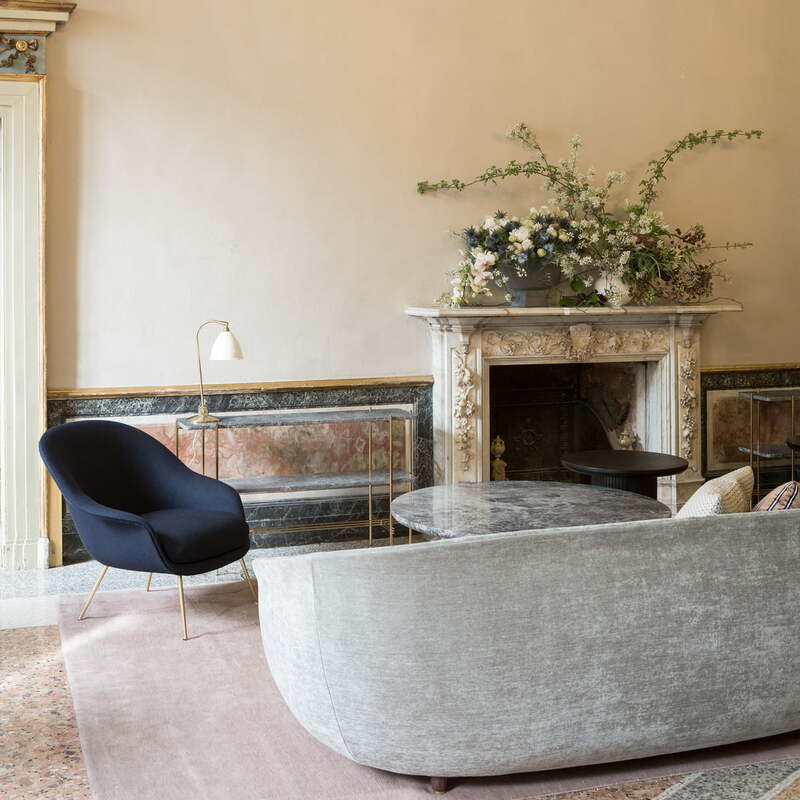 Both as a side table next to a sofa or bed and in larger versions as a dining table in the kitchen or dining room, the tables of the Moon series are ideal in any situation. Combined, the coffee table and dining table have a real eye-catching effect that is not only suitable for at home but also public settings such as in hotels or restaurants. 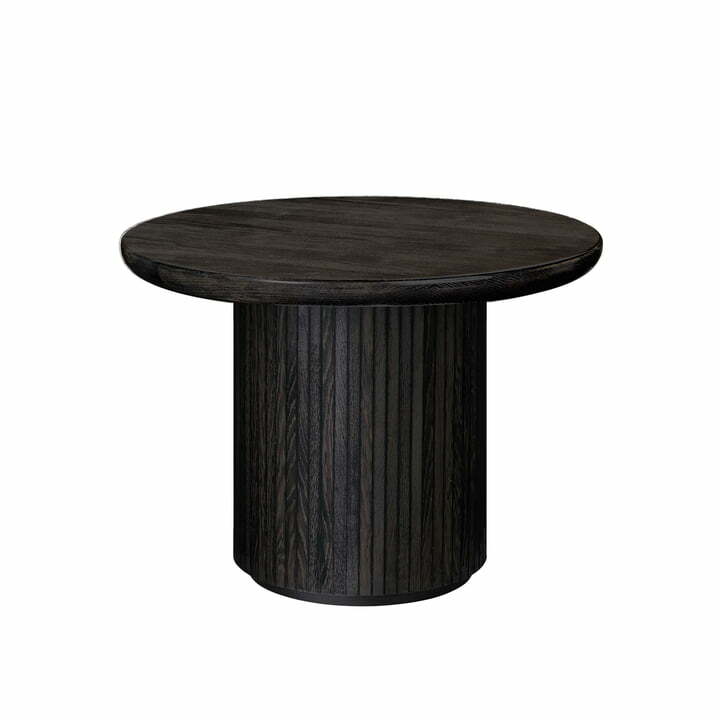 Isolated product image of the Moon table by Gubi: Isolated product image of the Moon coffee table with a diameter of 60 cm and a height of 45 cm by Gubi in black / brown stained oak veneer. Isolated product image of the Moon coffee table, Ø 60 x H 55 cm by Gubi in black oak veneer and brown stained with a tabletop made from Emperador marble in grey. 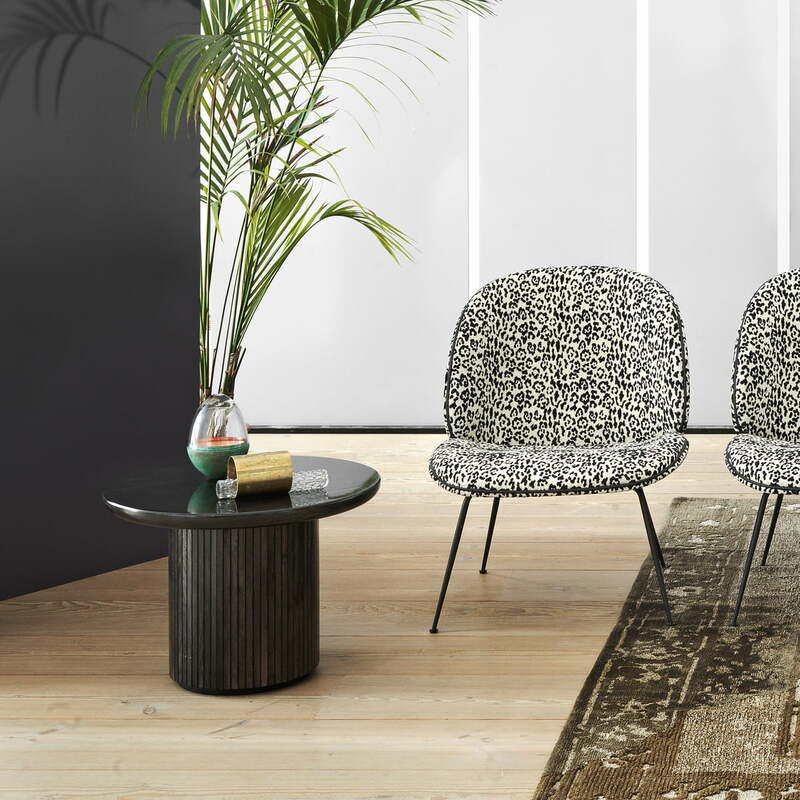 Lifestyle product image of the Moon table by Gubi: Gubi's Moon series includes side tables and dining tables in various shapes that combine traditional Danish craftsmanship with modern forms. 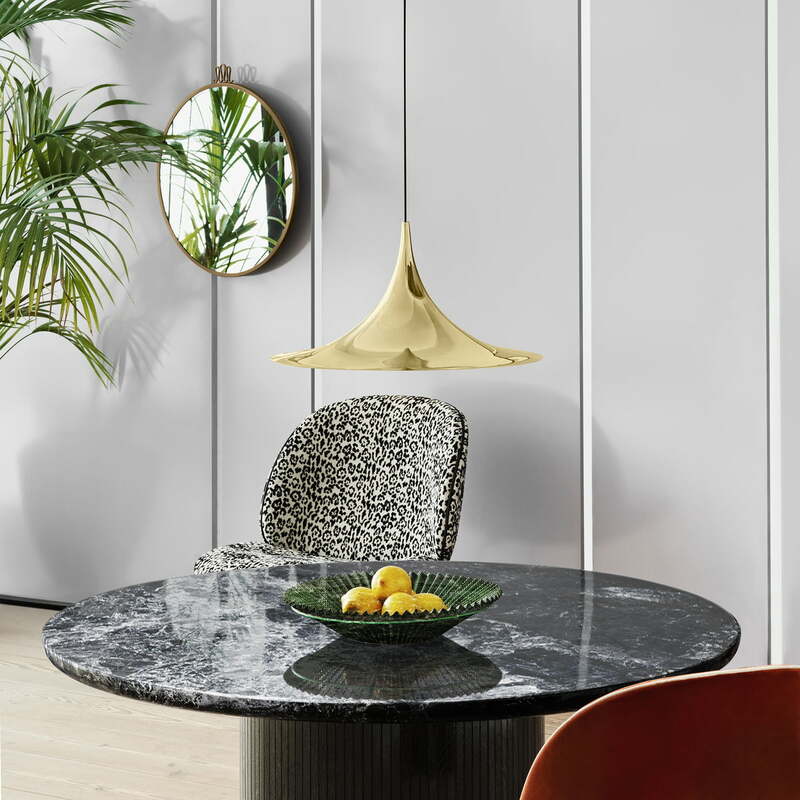 Lifestyle product image of the Moon table by Gubi: The Moon table and the comfortable Bat lounge chair by Gubi form a stylish ensemble that blends perfectly into any home décor. 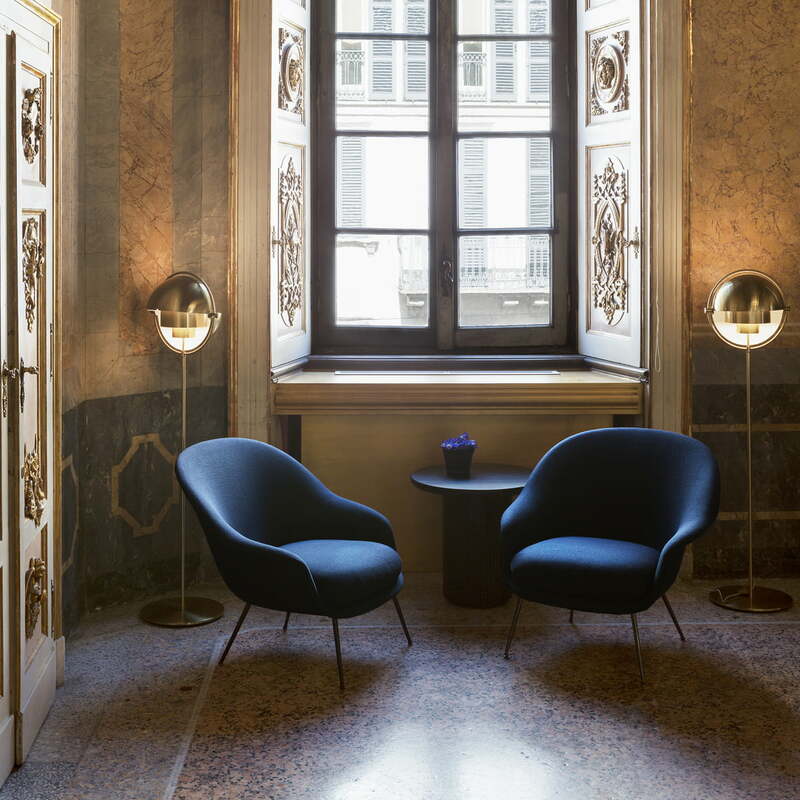 Lifestyle and group product image: The Bat lounge chair, the multi-lite floor lamp and the Moon table by Gubi create a harmonious and at the same time modern and elegant lounge area. The half moon or full moon base with a bevelled surface, also made of oak wood, keeps the plate safe and stable and gives the table a strong, concise look.